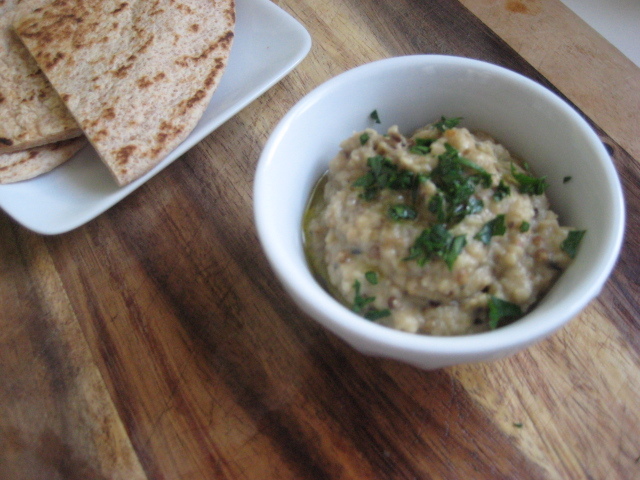 Baba ganoush | Ooh, my favorite! Since baba ganoush is one of my favorite dishes I figured I might as well learn how to make it for myself. 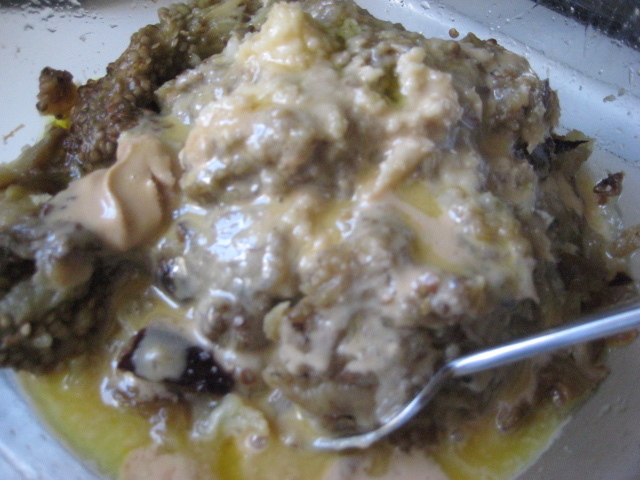 It’s a mess to make and not very pretty; the pictures could be classified as borderline offensive, but trust me, it’s worth every eggplant seed you’ll have stuck to your arms. Pierce the skin of each eggplant several times with the tines of a fork. 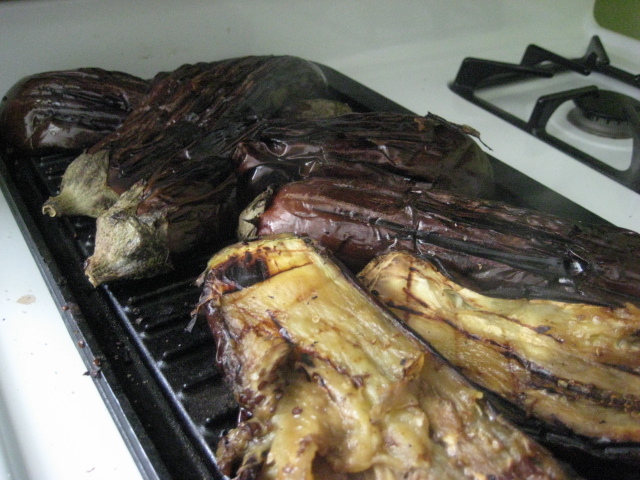 On the grill or under the broiler (set to high) blacken/char the eggplant for 25 minutes or so. You want the skin to be completely shriveled and dark, and the eggplant almost fall-apart tender. Just when you think it’s shriveled, let it go another five minutes. Set them aside to cool slightly. Note: In my method I used a food processor, but was sure not to overprocess so there was still enough texture from the eggplant. Whoa, I’ve never tried this before. I bet it’s delicious.